Success stories from past and current pupils that inspire us. I currently do fibre sales and telephone system integrations and programming of telephones for a Vodacom franchise. Impaq has helped a great load, by helping me realise that you determine your own success because if you do not do the work expected of you, you will not get the marks. The programme is extremely well set out and it helped me organise my school components, which has now become a habit, thus helping me be organised at work. 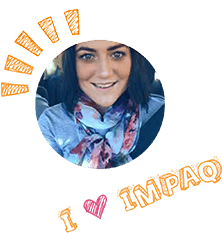 Impaq helped me grow as they have a great educational programme, which helped me achieve three distinctions in matric, while working full time. They have great staff that is always willing to help, which benefitted me when I had any doubts about what I should do for a test or assignment. Without Impaq I would not have achieved the great results I have. I am forever grateful for the amazing team of people and the astounding educational programme. Jared Brits joined the Frelon Academy in Boksburg in 2017 for Grade 2. Jared, however, struggled reading simple words, such as “it” and “his”. His tutor, Lisa Black, said that teaching Jared to read felt like a mountain in front of both of them; Jared felt inadequate and Lisa had no idea where to begin. By using Impaq’s products and services, Jared and Lisa went back to basics. Not only did Jared pass Grade 2, but he could read books that were on a level far above his age group. He is now excelling in all his subjects due to the fact that he can read the questions. My daughter Lee-Ann is 14 years old and has type 1 diabetes with complications. Lee-Ann used to be in public school, but she was admitted to hospital often, she fell behind on her school work and even missed examinations. I heard about Impaq from a friend and registered my daughter at the start of 2018. Now Lee-Ann has less stress and she can still continue with her school work even if she’s admitted to hospital. The most rewarding part for me is that she excels in her school work and gets excellent marks for tests and assignments. My son, Reece Li Sequeira, has multiple neurological disorders including Tourette’s syndrome, ADHD and oppositional defiant disorder (ODD) (all are medically controlled). At the beginning of his Grade 10 year, Reece decided that he wanted to be a chartered accountant and that meant he had to make specific academic choices for this to happen. He started using Impaq’s products and services, and also had the help of a private tutor, Sue Lee, who tutored him in Accounting. Thanks to Impaq and Sue Lee, Reece graduated in 2017 with two distinctions, one for Accounting (87%) and one for Life Orientation (84%). He is on his way to achieving his dream of becoming a chartered accountant. Reece is currently studying a full-time bachelor’s degree in Accounting Sciences through UNISA, while completing his articles in a full-time job as an accounting trainee. We live on a farm in the De Wildt area in the North West. 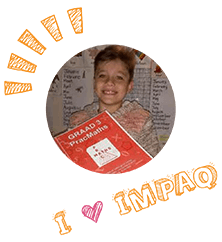 My son Armand and I started using Impaq’s home-education products and services four years ago. Initially, I thought we would never make it! To teach your child at home from the beginning is not an easy task and some days you need to have a lot of grit. 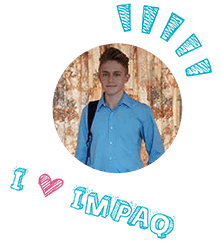 When we started with Grade R, the first year with Impaq was a huge success. As the years progressed, Armand learned a lot. I never thought I could teach a Grade 2 to read and write English, but today Armand can read and write well in English and Afrikaans. 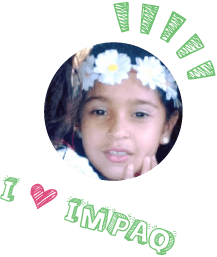 Impaq’s lesson materials and facilitator guides make it possible for us as parents to offer our children the best possible education in the comfort of our own homes. You can give all the necessary attention to your child and make sure he understands everything. Armand is currently in Grade 3 and I am very happy with the progress we’re making. I will recommend Impaq to anyone. Hi my name is Laaiqah Dabhelia and I am seven years old. 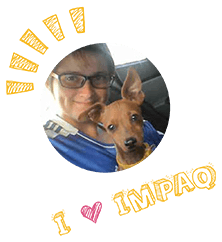 I would like to share with you my Impaq success story. I am in Grade 1 and attend classes at the Brainy Brainz Tutor Centre. At Brainy Brainz, we have small classes and that makes me very happy as my tutor Nadia Laher can pay attention to me. 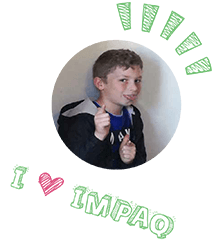 I was a bit scared to go to the tutor centre at first as I was bullied in school, but when Mum heard about Impaq and their home education offering, she was totally impressed! Books and tests were sent on time, there was no stalling and wasting time, and no excuses about delivery as everything is sent directly to the tutor centre. Plus, Mum says the level of education is quite high. Whatever that means! But all I know is I enjoy my studies now more than ever. Thanks to Impaq and my tutor centre Brainy Brainz, I have become a confident person who enjoys studying.